​​On behalf of the Florida Association of Public Insurance Adjusters (FAPIA) and its members, thank you for your interest in supporting the public adjusting industry by participating in the FAPIA sponsorship program. We appreciate you and hope we can continue to depend on your support. • fighting consumer unfriendly legislative efforts including those that helped repeal the unconstitutional fee ban on initial offers that unfairly targeted Citizens policyholders – and the public adjusters who serve them. 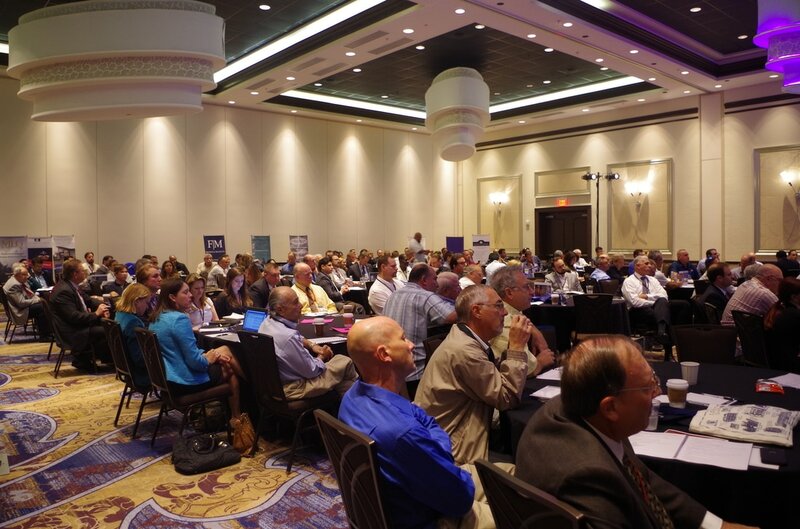 Each year, FAPIA must raise the necessary funds so that the association can continue its important work to promote, preserve and protect the public adjusting industry in Florida. We have reduced our budget significantly from years past without reducing the services we offer to our members. FAPIA leadership has taken a hands on approach to all matters of the association including personally visiting with legislators and creating the grassroots FAPIA Ambassador Program. FAPIA Ambassadors help our members get to know their legislators and reach out to them with our important message about the important role public adjusters play in the claim process. The FAPIA board of directors is also building coalitions of like-minded groups like the Florida Association for Insurance Reform, Policyholders of Florida and the Florida Justice Association to help affect positive change on policy holder issues through grassroots legislative communications. We want you to know that we appreciate and understand how valuable your sponsor dollars are and how important your support is to the success of the association. I look forward to working with you and ask that you feel free to contact us with any questions you may have. As you can see, we have been hard at work increasing the value of FAPIA membership and sponsorship. Can we count on you to support the public adjusting industry in Florida? As a not for profit association, FAPIA depends on your generous contribution as well as membership dues to achieve all the goals we set each year. Please give us a call, today, at 866-235-6489 or email us at administrator@fapia.net to let us know we can count on your support. We want to make sure you are included in all publications that will be distributed, so please call today. If you have any questions, I will be happy to meet with you personally or speak with you by phone, whichever is more convenient. Thank you again for your support. FAPIA is getting better each year because of sponsors like you. ​As long as there are policyholders and as long as there are insurance company adjusters that improperly adjust claims, FAPIA and its members will serve as a vital consumer safety net. ​The Florida Association of Public Insurance Adjusters (FAPIA) is a non-profit organization founded in the wake of devastating Hurricane Andrew in 1993. We are the largest state trade association for public adjusters in the nation. FAPIA’s mission is to promote, preserve and protect the public adjusting industry. Our members strive to ethically ensure policyholders receive full and fair compensation from their insurance carriers. ​Public adjusters are the insurance professionals policyholders turn to for help during the claim process. That help includes policy review, adjustment and documentation, and negotiation of a claim along with referral to the professionals that can help resolve the claim. This includes engineers, contractors and legal counsel. FAPIA members choose to support and refer professionals that are experienced and who support insurance consumer advocacy. Many public adjusters who are not yet members of FAPIA still turn to the association for guidance and support. FAPIA holds the public adjusting industry in Florida to the highest professional standard through education and by establishing service requirements for our industry for the purpose of protecting our rights and the rights of insured Floridians. FAPIA members adhere to a strict Code of Ethics. In short, FAPIA public adjusters are among the finest in the state. Our goal continues to be to bring all public adjusters licensed in Florida to FAPIA so the entire industry can enjoy all of the benefits of membership and present a united front. ​FAPIA has a strong working relationship with the Department of Financial Services (DFS). The Association also has a team of professionals working in Tallahassee that advocate for our industry with the same passion that our members advocate for their policyholder clients. Our officers and directors receive training on public relations and often accept public speaking opportunities to help spread the good word about the value of public adjusting and professional first party claim representation. FAPIA’s management staff handles all meeting planning, continuing education course preparation and submissions, public relations efforts, committee and board meeting coordination, website management, event promotion and editing of monthly newsletters and other communications. Essentially, everything exclusively related to the promotion of public adjusting as an industry in Florida are created and distributed through FAPIA headquarters. ​The Association holds at least one (usually two) multi-day annual conference each year that hosts the largest number of public adjusters and other professionals that support the industry. In addition, FAPIA coordinates with our sponsors to help feature and promote public adjuster events they have in their offices throughout the year. The association also coordinates “Field Trip” activities that feature “on site” visits to locations of interest to the public adjusting community. Most of our events feature the best public adjuster continuing education available as well as CLE credits for our associate members. ​FAPIA events offer our sponsors and associate members the unique opportunity to network and socialize directly with the membership that needs your services. Your tax deductible (speak to your financial advisor) gift directly supports the public adjusting industry and serves the insured citizenry of the State of Florida by helping to promote, preserve and protect public adjusting. 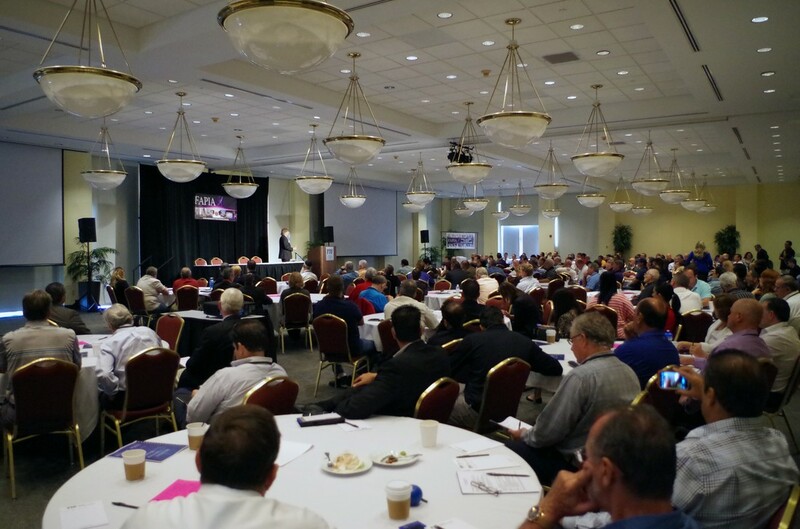 Our sponsors are recognized and promoted on our social media, at FAPIA conferences and events as supporters of the public adjusting industry. Food & Beverage Co-Sponsor at all FAPIA Conferences & Cocktail Party Sponsor at Year End Conference (includes drink tickets printed for participants with your firm’s logo; A customized invitation to the Happy Hour sent to all event registrants via email with your company logo and a link to your website; Social media posting of invitation on facebook and twitter using #FAPIA and #YOURCOMPANY before the conference, on the day of the cocktail party and after the conference, with photos; Signage during the cocktail party; Napkins at cocktail party will be printed with your company logo; Cocktail tables will have centerpieces with your logo during the cocktail party. FAPIA Web Page Ad for 1 Year, Level 1. Digital image that links to your website must be provided. One Large Banner (Platinum) at All FAPIA Events. Sponsor to provide PNG or JPG artwork with specs, to be provided by FAPIA. 25 Associate Memberships to FAPIA. $62,500 Value - Additional Memberships for Members of your Firm $250 (reduced from $2,500 each) Please provide names of attorneys so that they are not individually billed. Six complimentary registrations included for every FAPIA Event and four discounted registrations included for every FAPIA event. Social Media Exposure (Facebook / Twitter) up to 12 x per year - This may include articles and/or videos produced by your firm. Individual articles will include the author’s bio and photo with a link to your website. FAPIA Web Page Ad for 1 Year, Level 2 - Digital image that links to your website must be provided. 16 Associate Memberships to FAPIA. A $40,000 Value - Additional Memberships for Members of your Firm $500.00 (reduced from $2,500 each). Please provide names of attorneys so that they are not individually billed. Four Registrations included for every FAPIA Event – Three Discounted Registrations at every FAPIA event. Social Media Exposure (Facebook / Twitter) up to 8 x per year - This can include articles and/or videos produced by your firm. Individual articles may include (your option) the author’s bio along with a photo and link to your website. FAPIA Web Page Ad for 1 Year – Level - Digital image that links to your website must be provided. 6 Associate Memberships to FAPIA. A $15,000.00 Value - Additional Memberships for Members of your Firm $750.00 each (reduced from $2,500 each) Please provide names of attorneys so that they are not individually billed. Three registrations included at every FAPIA Event – Two Discounted Registrations at every FAPIA event. Social Media Exposure (Facebook/Twitter) Up to 6 times per year - This can include articles and/or videos produced by your firm. Individual articles will include the author’s bio and photo with a link to your website. FAPIA Web Page Ad for 1 Year , Level 4. Digital image that links to your website must be provided. 3 Associate Memberships to FAPIA. A $7500.00 Value!- Additional Memberships for Members of your Firm $1,250.00 each (reduced from $2,500 each) Please provide names of attorneys so that they are not individually billed. Exhibitor Display Table at each FAPIA Conference – Three registrations included at every FAPIA event. One discounted registration included. Opportunity to introduce your firm to conference attendees at all FAPIA events. Placement on Speakers list but speaking is not guaranteed. Social Media Exposure (Facebook / Twitter) Up to 4 times per year - This can include articles and/or videos produced by your firm. Individual articles will include the author’s bio and photo with a link to your website. 2 Associate Memberships to FAPIA. A $5000.00 Value! Additional Memberships for Members of your Firm $1,500.00 (reduced from $2,500 each) Please provide names of attorneys so that they are not individually billed. Opportunity to introduce your firm to conference attendees at all FAPIA events. Exhibitor Display Table at each FAPIA Conference – One registration included. 10% discount on additional event registrations. Social Media Exposure (Facebook) Up to 2 times per year - This can include articles and/or videos produced by your firm. Individual articles will include the author’s bio and photo with a link to your website. Social Media Exposure (Facebook / Twitter) Up to 1 time per year - This can include articles and/or videos produced by your firm. Individual articles will include the author’s bio and photo with a link to your website. 20% discount on Exhibitor Display Tables, at FAPIA Conferences. LAW FIRMS THAT ARE SPONSORS OF FAPIA ENJOY EXCLUSIVE BENEFITS THAT OTHER LAWFIRMS ARE NOT ENTITLED TO. NO LAWFIRM MAY EXHIBIT AT FAPIA EVENTS UNLESS THEY ARE SPONSOR FIRMS. ​The members, officers and directors of the Florida Association of Public Insurance Adjusters sincerely appreciate your generosity in sponsoring the industry. We offer financing options to make your support of the public adjusting industry manageable within your marketing budget. ​Speaking opportunity may not always be a CE teaching opportunity. Continuing education: Any sponsors who are eligible to teach continuing education classes must adhere to all the requirements set forth by FAPIA and Florida Department of Financial Services and the Florida Bar. FAPIA web page ad: Digital image that links to your website must be provided. Banner at conference: Art for banners must be provided by your firm so that we may order the banner. If your firm does not have art for a banner or wishes for us to create art for your firm, this will be available for an additional charge to be quoted by vendor. FAPIA newsletter & social media: We can link to articles and /or videos produced by your firm. FAPIA’s outside vendor can also provide a quote for video production and editing services. Individual articles may include the author’s bio and photo with a link to your website. Please e-mail all art, logos and articles to administrator@fapia.net. Associate Membership Dues: Sponsors who have additional associate memberships in their package should provide names of the attorneys they wish to include so they are not individually billed. All Associate members are listed on the FAPIA Legal Directory. For many clients, insurance is the most conceptually confusing industry they will interact with over the course of their lives. No thanks, I will make a one time payment Yes please, I would like to know more.